Anyway, I've got Billboard BREAKDOWN next and then probably this PUP album - stay tuned! I get the feeling, looking at Lizzo's career arc, that her story could have been a lot different. And to explain this, you need to go back to her debut project in 2013 Lizzobangers - and if you're familiar at all with her larger discography, this project will surprise you in sounding very little like her major label work. For one it's a lot more hip-hop, produced mostly by Lazerbeak of Doomtree - which makes sense because she had moved from Houston to Minneapolis and you can tell how her sound was influenced by the tropes and genre-blending that came out of that. Which was awesome, I've always been a huge fan of that sound, and while she took steps towards thicker indie R&B atmospherics on her 2015 follow-up, it's a tone and style of hip-hop that I'd love to see get more traction... but that was quick to evaporate by the time she signed to Atlantic, mostly because executives probably saw her huge personality and great singing voice and knew she'd probably have a bunch of crossover appeal. So Lazerbeak is gone and replaced by Ricky Reed, Oak, and X Ambassadors - and look, this doesn't have to be a bad thing, but when I listened to her EP Coconut Oil and then saw a tweet from a fellow critic suggesting Lizzo might be falling in the line of Bruno Mars... look, it's an easy and unfortunate comparison to make. But there's truth in it: a great personality who ultimately is more palatable to a larger audience making pastiches of sounds and styles that are not uniquely hers alone, only redeemed by the fact that she's a legitimately great talent behind the microphone - certainly better than when Ricky Reed tried a similar schtick with Meghan Trainor nearly five years ago! But suffice to say my expectations for Cuz I Love You were considerably diminished going in, but this could still be a good album, right? Couple quick points - for one, I think I'm nearly recovered from this weekend (it was my birthday, things happened, it was wild), and that's the reason I didn't put out any videos. Also, trying to get my schedule in order before the insanity coming on the 26th (stupid overstuffed release date...). Anyway, next up is Lizzo and probably PUP soon as well - stay tuned! Okay, here we go - and after the rough as HELL night I've had, I'm glad to be on schedule and working effectively. Next up...hmm, this could be very interesting, so stay tuned! 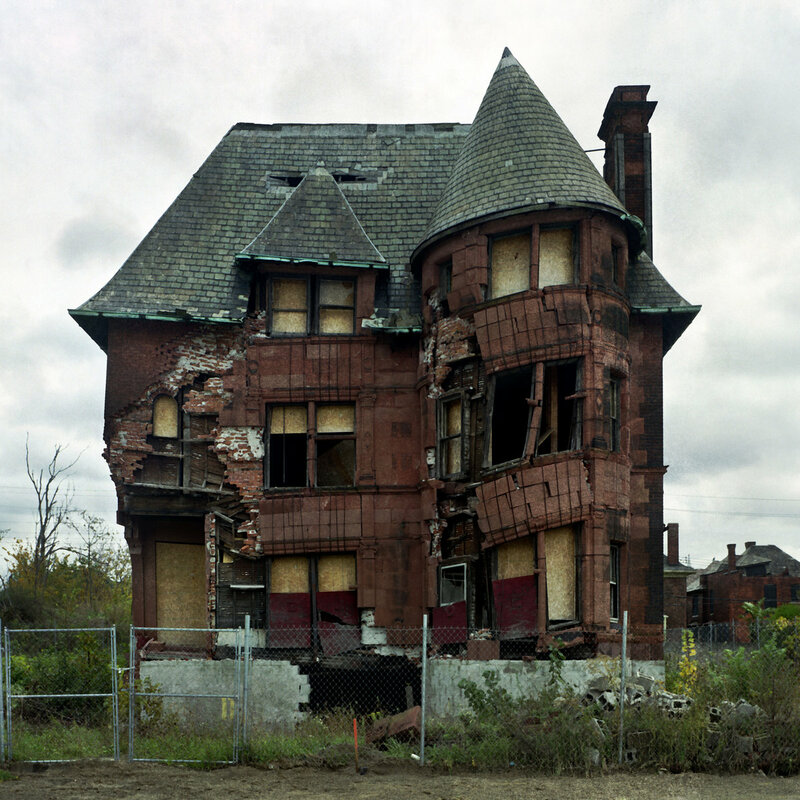 So I'm going to do something a little different with this billy woods review in comparison with previous albums I've covered from either him or his group Armand Hammer, where for the most part I've given some high scores... and then a few months later by the end of the year I find that I just haven't revisited the albums in the same way. And let me make this clear, this can happen with more hip-hop than I'd rather admit - it's lyrical, it's dense, it's fascinating stuff to talk about and review... and yet outside of rare cases, a lot of the songs don't wind up on my year-end lists or regular rotation in the same way outside of very specific moods. Now that's not to disparage its quality - as I implied, there'll be times that the only thing I'll want to hear is hyper-dense lyrical hip-hop and I'll have a ton of albums to pull into rotation, but billy woods said something in the lead-up to this project that caught my attention and surprised me: namely that sometimes, it's not that deep, and those who can't grasp it might not have the same life experiences. And that got me thinking, because there probably is an audience who can put on a billy woods album at any time and maybe I'm just not that, but it did make me consider that I might not want to overthink the newest project from billy woods, where he teamed up with producer Kenny Segal for twelve tracks where yes, I'm late to the punch again. And while woods is saying he's at his most direct here... well, I wasn't sure how much I bought that, but I didn't want to overthink the analysis with this one, so what did I find on Hiding Places? Alright, this came off a tempestuous day behind the scenes (and I'm still fighting to get over something... GAH), but I'm on track now and hopefully I can have this billy woods review finished tomorrow. Well this was... honestly a little underwhelming, but given how many listens I gave it, I really don't hope this is one that grows on me tremendously when I'm a little healthier (yeah, I've been ill all weekend, it happens :( ). Next up, looks to be a more interesting week of Billboard BREAKDOWN than I expected as we get a slightly slower schedule - stay tuned! Admit it: if you're an Anderson .Paak fan, you're not surprised by this release. But before we go further, let's talk a little further about the aftermath of Oxnard, his release late last year that I still think is good... but was a disappointment, not on the same tier as Malibu or Yes Lawd! or even Venice if we're being honest. 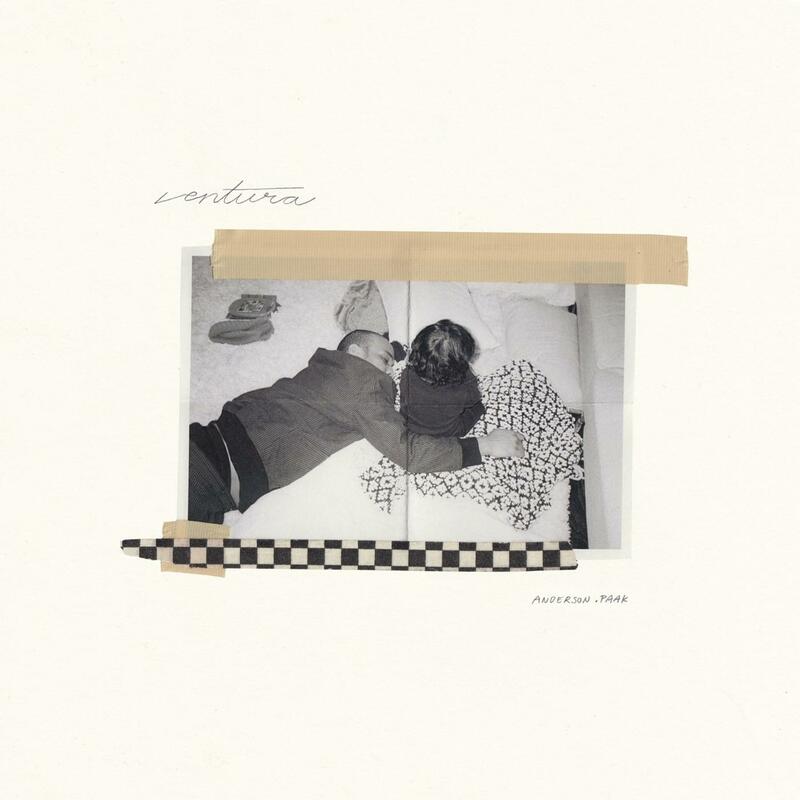 Instead of taking the strengths of Anderson .Paak - a phenomenal performer and a pretty good songwriter with buckets of charisma - and pairing them to the loose, eclectic production that made him a star, he was given a bunch of highly synthetic, regimented grooves that had nothing close to the organic warmth and texture that made Malibu so striking, and the writing hadn't exactly evolved along the way. And while the album got some critical acclaim from a few people, it was not the shot into the mainstream that you'd expect from the big expensive marketing push he received, and many people were quick to point out the project had more of Dr. Dre's fingertips in its sound than what had previously worked. And on one hand, I could see that working - after all, I might be alone in saying that it worked on the 2015 Compton album, but I still hold that project as one of the best of that year - but Anderson .Paak had evolved considerably and trying to place him in Dre's comfort zone smacked of real mismanagement. So I expected the course correction - maybe a mixtape, maybe something loose and thrown together to placate the diehard fans and maybe win over the few people who loved Oxnard - but what I didn't expect was it coming so fast! Nor did I expect the pedigree of acts behind him: Smokey Robinson, Jazmine Sullivan, Brandy, a sample of the late Nate Dogg, and even Andre 3000 - who frankly seems like a natural partner for Anderson .Paak given the broad similarities in their style, certainly more than Dre. And I'll be honest, I'm stunned the label threw this kind of money for a course correction - getting these samples and guests do not come cheap, especially if there was to live instrumentation - because that takes a keen executive to recognize something has been mishandled by them and they need to give the artist space to make it work. That takes a level of self-awareness I did not think that Dre had, but enough wasting time: what did we get on Ventura? So unsurprisingly this is pretty great - in fact I'd argue it's more accessible than ever- but it is a later review than I'd prefer. Apologies for Quelle Chris for the delay - the day he dropped the competition was nightmarish and I still haven't gotten to billy woods (it's coming, I swear). But next up... not sure, we'll have to see - stay tuned! Yeah, I'm a little late to the punch with this one. 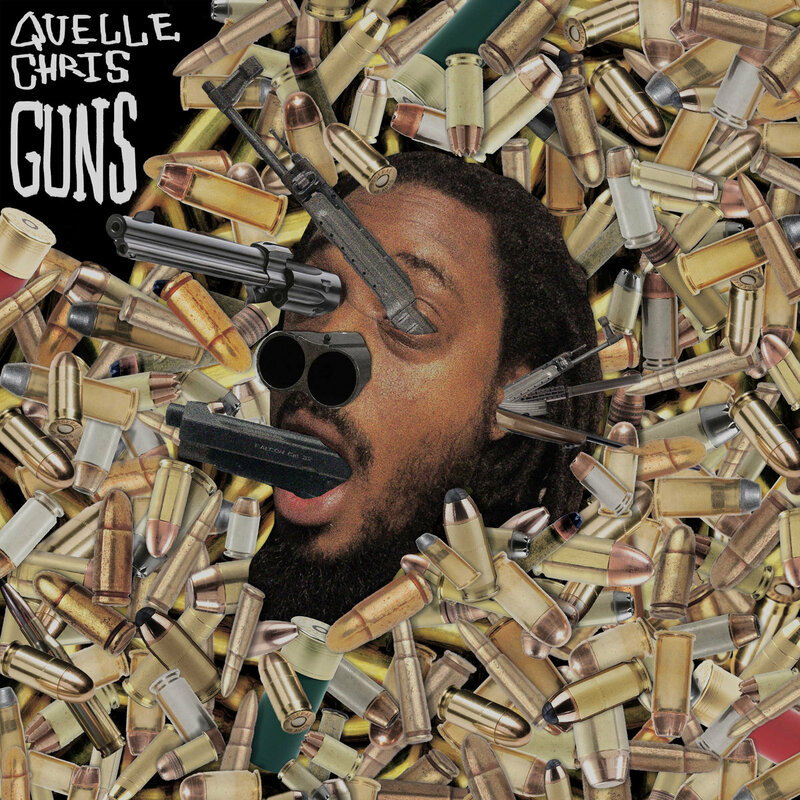 But in all due fairness, due to the density you find on Quelle Chris albums, that does make a certain amount of sense, even if they might be excellent from top to bottom. And given how much he's just been on a tear the past few years - with my first proper introduction coming in 2017 with my review of Being You Is Great, I Wish I Could Be You More Often and then his fantastic follow-up last year with Everything's Fine with Jean Grae - I really wanted to ensure I gave this my full consideration. In this case probably more than ever, as this seemed to be a very in-house operation: writing, production, album art, animating the music videos, and surging into a loaded, fractured picture of society's relationship with guns and who might be truly culpable in the usage of such a weapon, the person or the tool. Heavy stuff, especially given the critical acclaim he's received from both me and a ton of other critics, which set a pretty damn high bar... so what did we get from Guns? And here we go - a little late here, I understand, but still a really damn good album, and fascinating enough to be worth the time. So I'll be very blunt here: I've long ago stopped having any expectations for a Devin Townsend album. I can't know how it'll sound or even what genre it'll be as he'll flit between a half dozen different subgenres or even step out of metal entirely for ambient music or pop or even country! All I know is that the tones will be polished to a mirror sheen, there'll be scattered moments of indulgence, and while he'll bring in guest stars, there's no real clue how much they will be emphasized, especially if some of the tightness goes out the window. And to be very blunt, while I got a lot of backlash to my harsh review of his last album Transcendence in the Devin Townsend Project, going back three years later I don't think I'm all that wrong, especially in comparison with the other standouts with that group. But fine, this is a brand new solo album from him - and when I say solo, I mean bringing together many of the same guest stars that he's been consistently working with, such as Anneke Van Giersbergen and Che Aimee Dorval, along with a few surprises like legendary guitarist Steve Vai and even Chad Kroeger of Nickelback! Apparently that was a result of Townsend mashing all of his disparate influences into one project, which to me suggests a glorious mess that at least might feel more dynamic than Transcendence, but okay - what did we find on Empath? You can make the argument that this is one of the weeks where the Billboard Hot 100 will attract the MOST attention. Not just because of the expected album bomb from Billie Eilish or the posthumous charting entries from Nipsey Hussle - a damn shame he didn't achieve them when he was alive - but because of our new #1. And I'll be blunt, I'm a little surprised that the Streisand effect delivered so much controversy that we got this #1 - but there's a number of factors that got us to this point, and considering the hot takes and spin we've seen around it, I'll continue the work to set the record straight. Okay, so I should probably provide some context why I'm choosing to cover the newest album from Reba McEntire, an artist who I grew up with and remain a huge fan of to this day, both behind the mic and the camera - hell, normally that'd be enough, but legacy acts like her don't tend to get huge attention these days except from diehard critics. But for as few detractors as country music fans have towards her - and really, she's so universally beloved at this point of her career even despite some wild swings and choices - I've never really considered Reba an 'album artist' where I'd rush out to find a new album. Yeah, her incredible line of singles and even a couple of deep cuts have staying power to this day, and it should be noted she has producer credits on the majority of her albums... but not writer's credits, an artist more known for great performances and curating great pieces than writing them herself. Now most of the time nobody really cares about this - Reba is one of the few acts who has such phenomenal presence behind the microphone that nobody gives a damn, and she's also old and wise enough to back up her words with genuine substance, so if she's making comments in the lead-up to this album suggesting that she's going to make this more of a neotraditional project... well, against the odds I was inclined to believe her. 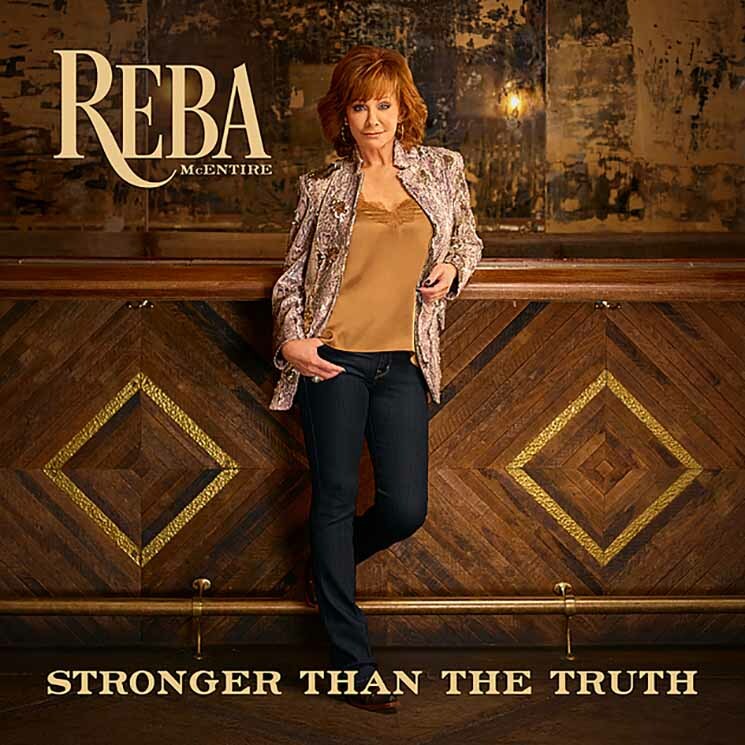 And it's not like she hasn't been through some real personal turmoil in the past few years - notably a divorce from her longtime partner and steel guitarist - so if she wanted to assemble one hell of a country record, I was at the very least curious, especially given how the critical reviews have been considerable - so what did Reba bring together on Stronger Than The Truth? So look, as much as I don't want to go here, there's no way to talk about the current intersection of country and hip-hop than this whole Lil Nas X debacle. Now I gave my opinion on all of this fairly recently - there are weird conversations of cultural exchange, not helped by 'Old Town Road' being a joke song that could feel vaguely credible with the genre especially given what's been let in recently and then was spun in a disingenuous nature after the song was yanked from the Billboard Country Charts, which I'd put up more to Nashville and Music Row interference than anything else. But there's a question that's not being answered in most of this conversation, and it's this: putting aside blatant opportunism, did Lil Nas X really care about landing on the country charts? Was he looking to carve out a space in the genre, or was just aiming to grab the free playlist promo? And I bring this up because there are acts that are trying to carve out a niche in both country and hip-hop, to be credible and respectful of the sound in both lanes and treat this seriously - and the most prominent in the 2010s is Yelawolf. 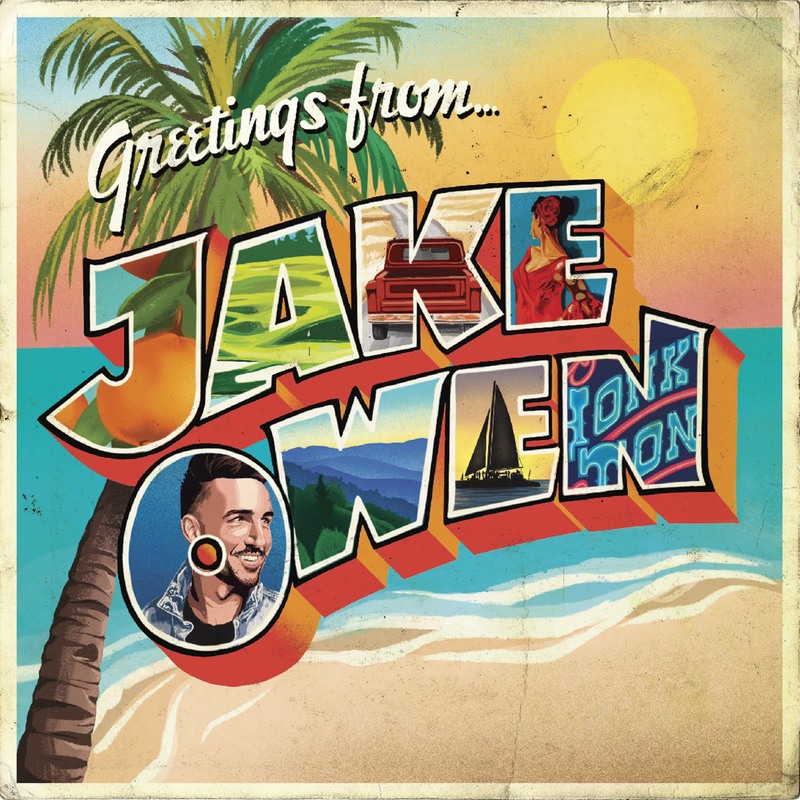 He might have started out in straightforward southern hip-hop, but by 2015's Love Story he was actively fusing in country tones that worked better than anyone expected, which he followed up in 2017 in Trial By Fire. And while the mainstream music press had a hard time grappling with the sonic fusion, his raw sales success and organic groundswell proved there was something there that could work... but since he's signed to Shady, his mainstream promotion was non-existent and neither album seemed to have the impact they should, especially Trial By Fire. Thankfully, his new project Trunk Muzik III was his last project before he could get away, and a straightforward return to southern hip-hop - which I'll admit seemed to be a disappointment coming from manufacturing a distinctive lane, but if that's what's needed to recapture the mainstream attention before he goes indie or re-signs to another label, I guess I'll take it for now. What irked me more was how he had stepped away from the producer's chair, but fine: what did we get on Trunk Muzik III?